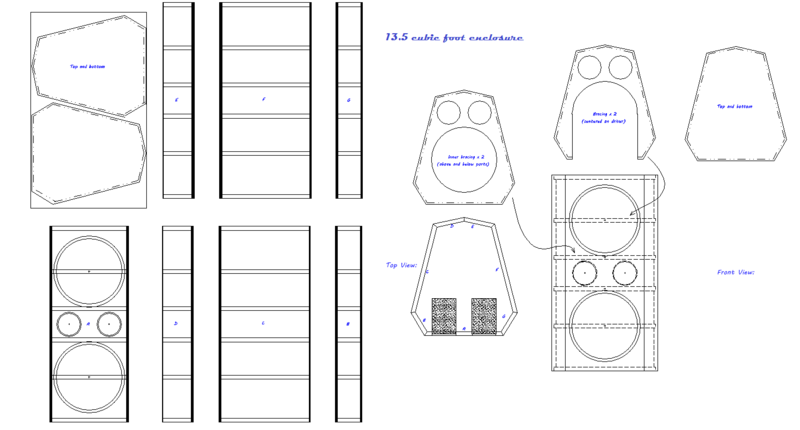 You will want to stack a pair of these subs, otherwise the weight is not manageable. 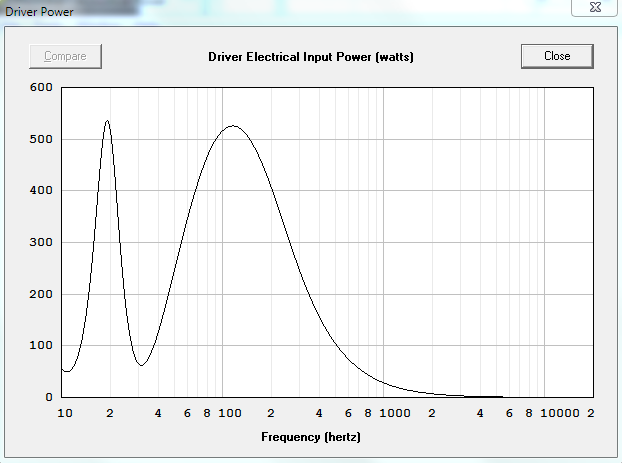 This fellow, when stacked, is configured as an 4 ohm load, though it could be 1 ohm, or 16 ohms. According to Hornresp, 4 of these cabinets develops 115 db 1 watt 1 meter with a watt going to each driver, so it took very little to convince me that this idea deserves life. 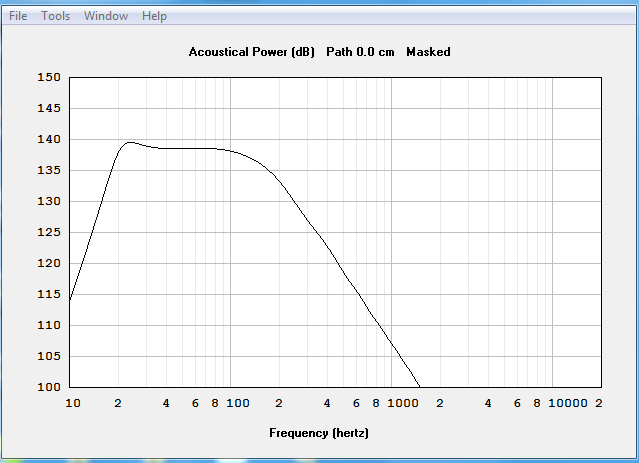 ​Below: the impulse response is strong, and for first octave bass, dampening of the ringing is quite reasonable. 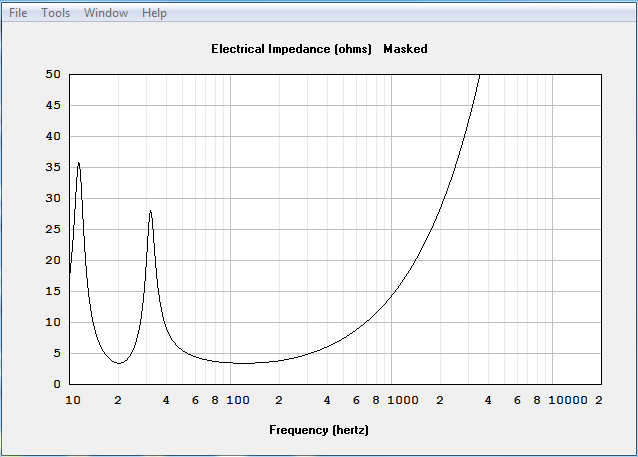 I prefer to tune my encloses with the bottom half of the impedance curve higher in impedance the the front half. 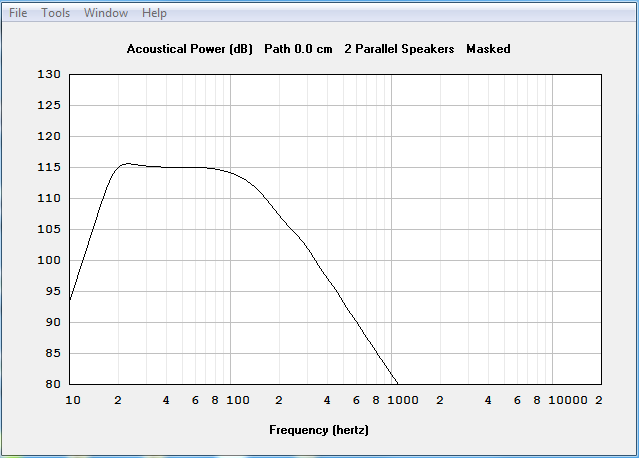 Max acoustic power developed with 8, 18" drivers at 1w1m (above), and the power to each channel (below). 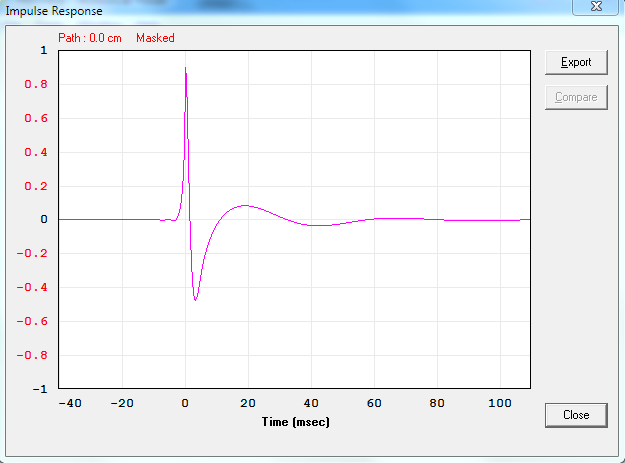 Xmax is reached long before power restrictions are exceeded.